Just wanted to say thanks yet again for another brilliant night documented. You guys certainly hit the sweet spot on these recordings, just grabbed all 3 and will have some fun listening to them to find my favorite. anyone having any difficulty once downloaded? Thanks for the kind words and info on Graham Clise, Jeremiah. Very glad you’re enjoying the recordings. I actually grabbed mrsaureus’ pull off of Dime and will have to give it a listen; the more the merrier. Cheers! @ Cat: try downloading the source you want again. I tested and downloaded all six of them and had no issues unzipping them. Any thoughts so far on the positives and negatives of each of the sources? If you download them on at the time it works fine, via Sendspace. 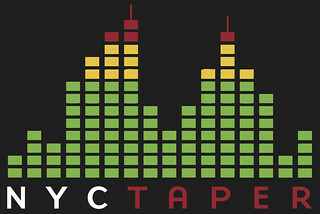 I’m having trouble getting the complete flac archives when the download is started from the nyctaper site itself. Anyway, thanks a lot guys for taping this show in such great quality! What source did you download? Well, the Blumlein version (source 2) has the widest and most ‘natural’ soundstage because that microphone technique captures a 360 degree sound field. Source 3 is the opposite – it favors more direct sound, so it will have more “up front” sound to the vocals, but less feel of the room. Source 1 kind of splits the difference; it’s the most “typical” technique and probably offers something in between the other two. FYI, the source #3 files have also been moved to YouSendIt where the other two sources live. That should alleviate any downloading issues. I had no problem downloading and opening Source 3.
listening to the sample of #2 convinced me to grab that one..wow, great work! Look at this… WOW. Thank you so much for capturing this night. Also, while I’m here, thanks for the Kurt Vile too… I was supposed to have gone to this show but it didn’t happen. Because of you, I can enjoy it! …also, this is screaming to be made into a Matrix… JUST SAYING! I’ll try and work on something — going to take a long time though. Under what licence are those recordings released? Can I redistribute them via e.g. bittorrent? Permission arranged in advance with band and venue, and a “taper’s section” marked off for us in the venue. We prefer that you not distribute any of these recordings. 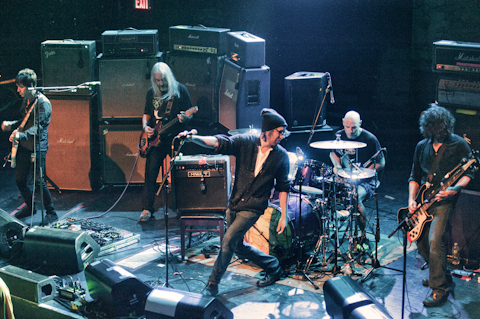 They’re available here, and after a couple of weeks will also be on freesofree.net, who have our permission to archive our Dinosaur Jr. recordings. The idea is that having the recordings hosted here will encourage people to read the review, and support the band. I also want to add, having the recordings pop up on bittorrent sites that intentionally violate the artists’ rights and their wishes isn’t that great of a thing for us. We do a lot of work to make sure the bands approve of what we are doing and think that’s a special part of what we do here. Having our stuff mixed in with “bootlegs” and unauthorized recordings could suggest something different. @acidjack : some bands encourage that their recordings are shared freely, Nine Inch Nails comes to mind. There are also bands that see bittorrent sites as a way to widen their audience, ThePirateBay. But this is another debate, I just wanted to share that not everything is black or white. Given the fact that there was no licence indication, I thought I’d rather ask. Thansk anyway for sharing this, I thinks it’s awesome, and i’m really lookin forward to seeing them in february. I accidentally a whole sentence, I wanted to emphazise the fact that ThePirateBay has a special page and program to promote band that use the site as way to distribute their work. Which source did you download? Source 3, at least, was exported from iTunes and I listen to it in iTunes myself. We’ve tested all three on both Windows and Mac computers. @ Matt: Not entirely clear on the issue you’re having and what OS you’re using, but iTunes does not natively support FLAC. A few audio players for Mac that do are Vox and Cog, and for conversion purposes xACT is an excellent tool. If you want to play lossless files in iTunes, use xAct to convert the FLAC files to Apple Lossless (aka ALAC) which can play in iTunes. I don’t know why you would involve a conversion to AIFF in the process. Tagged VBR0 MP3s are available as a download on the site. Just download the MP3s if you want to play them in iTunes or convert the FLACs directly to ALAC. These files have been fine for the other 1000+ people who’ve downloaded them, so beyond that I don’t know what to tell you. Me and my boyfriend Raphael Bittencourt loved the recording.